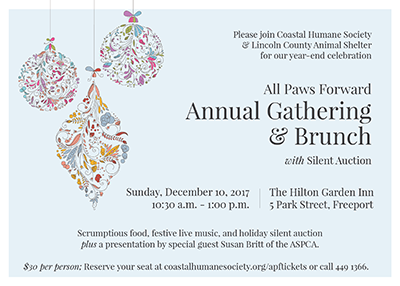 Please join Coastal Humane Society and Lincoln County Animal Shelter for our All Paws Forward Annual Gathering and Brunch on Sunday, December 10 at the Hilton Garden Inn in Freeport. Enjoy scrumptious gourmet food and drink, bid on dozens of silent auction items, and learn more about our organization as we celebrate our stellar year and look forward to the one ahead! 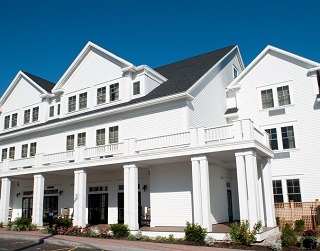 Special guest Susan Britt of the ASPCA will give a talk about the future of animal sheltering. 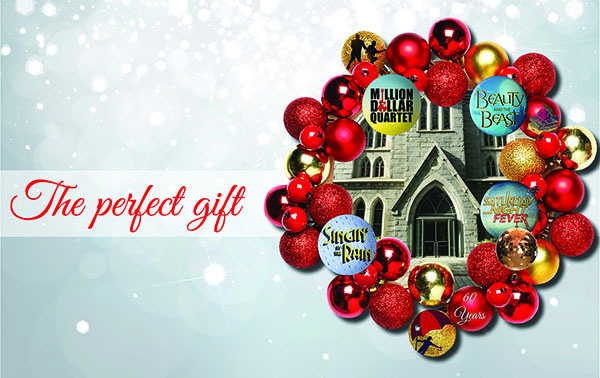 So come, mix and mingle with animal lovers in our community – and get some holiday shopping done too in our beautiful Silent Auction. All proceeds benefit shelter animals. 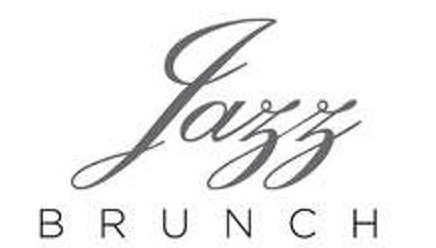 Doors open at 10:30 a.m. $30 per person: get tickets at coastalhumanesociety.org/apftickets or at 449-1366.